Artifacts tell stories. Records tell tall tall tales. Every word true ... a history . . . In 1993, on a stop in the southeast while roaming the country in my converted school bus, painting houses by day and spending every night at the infamous Snakesnatch Lounge with the local freaks, I cut my first record in three hours in a Tennessee studio, just like the old days. Seventeen songs sung straight though, to get them out of my system, make space in my brain before moving on down river. I called the record Slate and brought it with me to New Orleans, the raw little seed of a long road. In New Orleans I fell in with a group of wandering songwriters like herself, threw my fortunes in with one, the Australian/British songwriter Mike West, and spent the next nine years playing thousands of shows, in what felt like every honkytonk, old theater and open field from Baton Rouge to Berlin. 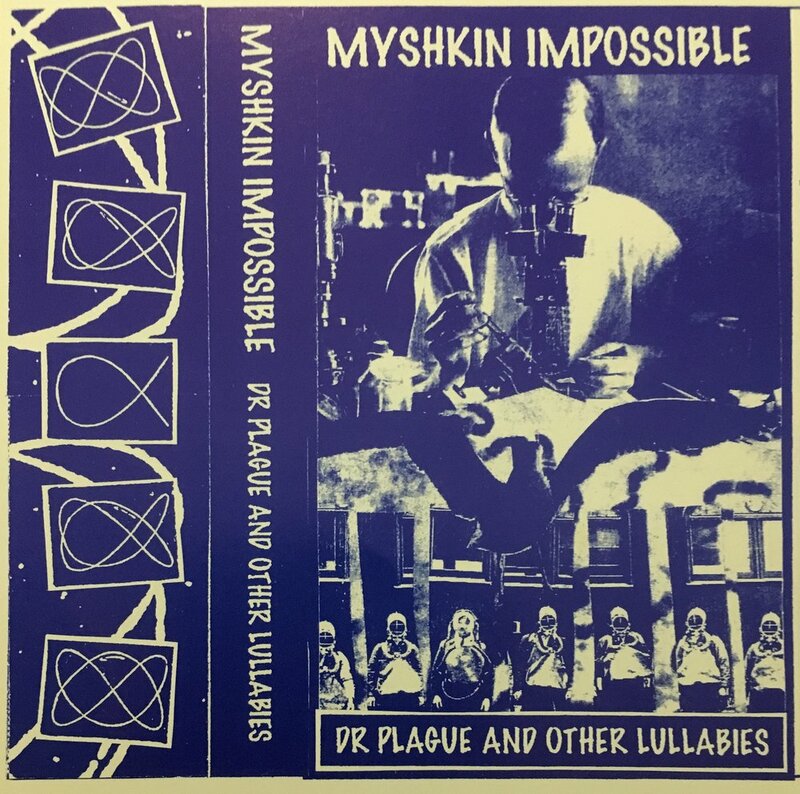 Dr Plague and Other Lullabies, half squalling rock / half political folk, was the fruit of a New Orleans rainstorm and flood, an accidental recording session, and a jam with the neighbors, all culminating in what became my first band, Myshkin Impossible. I worked together with West on Econoline, sharing both writing and playing. Though we each had separate bands at home, we toured the world for years as a duo, with this slightly schizophrenic, stylistically ping-ponging, invariably crowd pleasing format. With Blue Gold, I began to settle into my musical self. A spare and spooky collection, exploring traditional southern music styles and built on a spine of prison songs, the record was conceived as an indictment of america’s nascent private prison industrial complex. Why Do All the Country Girls Leave detailed personal, read and overheard tales of both escape and the inescapable, with a decidedly feminist edge. The recording was immaculate, the players expert, and the production decisions so disparate that in the end the record felt like a sampler platter from another time and place. I labeled the songs on the back of the sleeve by real or fictional genre, as a warning, or a dare. In 2001, I formed a new trio called Myshkin’s Ruby Warblers with my long time drummer Scott Magee, and John Lutz on upright bass. The band focused on my latest material, explorations of chanson and gypsy jazz pulled through a rock and roll sieve. We buffed and polished the raw, emotive new sound just enough with local shows and touring, and in early 2002 released Rosebud Bullets, which was met with some national critical excitement. That summer I packed my things and headed west to Oregon, weeping all the way across the country, not at all wanting to leave my beloved city, driven by something unknowable. Luckily, genius collaborators are everywhere. In Portland, I found a new bassist in Brent Martens, and invited Magee to join us on a tour of Scotland. Scott and Brent met in the airplane, the trio found ourselves live on the BBC within hours of arrival, Scott moved to Portland a few months later and we began recording in his basement studio. I was introduced to Sailor Banks by my booking agent, and we began experimenting in Sailor’s Corvallis studio, bringing together my warm guitar based songs with Sailor’s electronic beats and loops. Meanwhile, everyone was in the streets trying to stop the war, and the war was waged despite. Corvidae was released in 2004, an intimate, jazz driven anti-war record. There was a sense of relief, living in the bubble of a progressive city after a decade in the South, but it all broke wide open in august of 2005, when the world watched helplessly as New Orleans drowned in the double disaster of hurricanes Katrina and Rita. In the days following the storm, a little crazy with grief and worry, I decided to stop pursuing the record I was currently working on and instead cut a quick and dirty ep of political songs with Banks in our home studio. Quiet, seething tunes about the great human wastes of war, disaster and profit-driven policy, tense with the urgency of the moment. The resulting ep, centered around the post-Katrina lament Bywater, pulses with the dark and desperate beauty suggested by it’s title, Sigh Semaphore. The record that was abandoned in those dark days after Katrina took years to surface. I left Portland alone in early 2008, to live in the mountains of Southern Oregon, eventually co-founding a permaculture focused, land-based community, and building an earth walled studio home there. I took a few years off of music for the first time, and came back to it with renewed curiosity. A trip back to New Orleans with a suitcase studio yielded some beautiful raw material from old and new friends which I began to stitch together with some recordings from Portland. Months of solo work in my earthen studio, layering sounds and stripping those layers away to lace, finally produced a gem. Though lush performances by many collaborators are woven into the mix, That Diamond Lust entered the world as a light, intricate, haunted record, the sort that only gets born from solitude. When I passed through southern California on tour in March 2013, the joshua trees were in full waxed bloom. I met a beautiful woman named Jenny, was enchanted by her, was come home, went back to Oregon with a sweet new seed growing inside of me. By Halloween I found myself living with Jenny and 8 year old Yazzy in the tiny artists’ town on the edge of the National Park. In January, Jenny fell suddenly and inexplicably ill. During her six days in a coma and six months in the ICU, I wrote spells for songs, held her child, home, and business, helped channel the community’s energies toward her healing. By 2018, Jenny had re-learned to walk—and dance—on prosthetic legs, and completed Held Together, a raw and revealing book about her experience. I wrote the songs on Trust and the High Wire from my own vantage on the same journey, deep in the dream: from our first meeting, through the treacherous high wire days, and back to dry land, forever changed.